Clinical Classifications Software for ICD-10-Clinical Modification (CM) and Procedural Classification System (PCS) Codes provides a way to classify diagnoses into a limited number of categories by aggregating multi-level ICD-10-CM and PCS codes into broad diagnosis groups to facilitate statistical analysis and reporting. Developed by the Agency for Healthcare Research and Quality (AHRQ), the Clinical Classifications Software (CCS) is a tool for clustering patient diagnoses and procedures into a manageable number of clinically meaningful categories. CCS offers researchers the ability to group conditions and procedures without having to sort through thousands of codes. This “clinical grouper” makes it easier to quickly understand patterns of diagnoses and procedures so that health plans, policymakers, and researchers can analyze costs, utilization, and outcomes associated with particular illnesses and procedures. CCS consists of two related classification systems, single-level and multi-level, which are designed to meet different needs. Single-level CCS is most useful for ranking of diagnoses and procedures and for direct integration into risk adjustment and other software. Multi-level CCS is ideal for evaluating larger aggregations of conditions and procedures or exploring these groupings in greater detail. It was not possible to translate most multilevel categories to ICD-10-CM/PCS within the current structure. The exceptions are the first- and second-level multilevel categories. These categories work with ICD-10-CM/PCS structure and have been added to the CCS tool files. The specificity of categories increases with the higher levels, such that second-level categories are more specific than first-level categories. The first-level categories are identified by one whole digit (1–18), whereas the second-level categories include one decimal point. 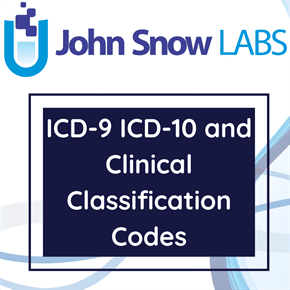 The Clinical Classifications Software (CCS) for ICD-10-CM and PCS is a diagnosis and procedure categorization scheme that can be employed in many types of projects analyzing data on diagnoses and procedures. CCS is based on the International Classification of Diseases, 10th Revision (ICD-10), a uniform and standardized coding system. The ICD-10-CM multitude of codes, over 69,800 diagnosis codes and 71,900 procedure codes are collapsed into a smaller number of clinically meaningful categories that are sometimes more useful for presenting descriptive statistics than are individual ICD-10 codes. It is based on the CCS for ICD-9-CM and attempts to map ICD-10-CM/PCS codes into the same categories.